(Oh yeeeeeeeeeeeeeeeeeees – days and days and days and daaaaaaaaaaays of celebration. You can send me gifts in lieu of flowers or cake per my birthday season RULES, #3). To celebrate I slept-in late . . .
It’s bad enough that my face is wrinkling . . . my neck is wrinkling . . . and now! my fingernails are wrinkling! 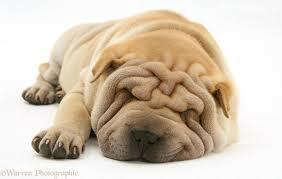 The next thing I know I’ll wake up and I will look like a Shar-pei. 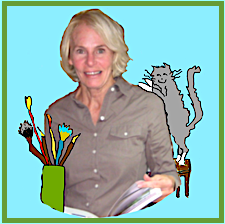 This entry was posted in "Don't quote me", Animals, Creatures & Critters, Birthdays, Celebrations & Events, Food for thought, Fun & Frivolity and tagged 71st birthday, birthday season, Shar-pei dogs, signs of aging, vertical ridges in fingernails, wrinkles. Bookmark the permalink. You need to get credit for many of your friends wrinkles (me included as I rightly assume a position of one of your BFFs). Anyone who has the honor to be included in your life knows you show no mercy when it comes to picking on us constantly. Why the wrinkles you ask – because you pick on us with such hilarity that we can’t stop laughing. Laugh wrinkles are the best. I would be honored to bake you a cake. What is your pleasure my dear? Perhaps that triple layer chocolate number with a super thin layer of almond paste under the thick chocolate glaze that covers the cake; a fruit jam of your choice spread thinly between each layer (I prefer raspberry). HAPPY BIRTHDAY!!!!! What my pleasure is and what I can eat are two completely different things! I’m currently on a no-white flour-little to no-sugar passing my aging lips. Trying to see if it makes a difference in my pain/fatigue. If you can whip up a gluten free, low sugar deeeeeeelight I would be in heaven. Every gluten free baked good I’ve made tastes like wet cement or worse . . . concrete. Thanks for the happy birthday!!!!!!! You do make yummy things out of cloth and beads and other non-fattening things! Your turn, Judy, share the new word your new brain wrinkle made up in honor of your birthday. BTW, shar-pei puppy very cute, could be called cutier. Blob fish, not so much, could be called uglier. Wait, that’s already a word. Crap, my new brain wrinkle just went to sleep. My Wrain Brinkles are sneaking out through my skull and showing up on my face. I am a lot smartier now that I’m old because when I was young I didn’t know I was a smartie. My wirthday is wirth a lot to a few and a little to a lot . . . Please do not refer to Bob the Blobfish as uglier . .. he’s very sensitive. Wrain Brinkles – love it!!!!!! I slept late, too–by accident. I hate sleeping late so it definitely wasn’t a birthday gift. Sigh. I’ve grown to like sleeping as late as I want so I can stay up as late as I want. Privilege comes with age. Wrinkles begin with the thumb and then spread to the face, neck before traveling down the body to the thighs. Chocolate is perfect (as is anything replete with unrefined sugar). Sometimes there are days when the alternative has looked good . . . but luckily today is not one of them! Oh dear! I’ve had wrinkles in my finger nails for years! Happy Birthday Season! Enjoy. Hope there are no more surprises regarding aging. Yes, there are MANY more surprises regarding aging but I can’t tell you what they are or you won’t be surprised. Put a photo of your face from 10 years instead of the current one current one. I have several I will be glad to share, but BABY you still look awesome! I can’t stop laughing at your comment BECAUSE that picture is from about 5-6 years ago!